Since the installation of GPS tracking device produced by “Visiontek” the following of a motor or fleet management is more comfortable. Mobile and light vehicle tracking device enriches the searches for different objects and let person seen in what place is his property. See all the examples on our online catalogue and buy the favourite one for available price. 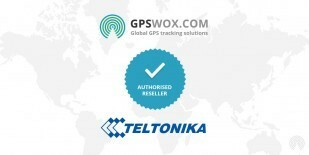 Visiontek GPS Tracker devices support GPS Tracking Software provided by GPSWOX. Do not wait and get your own Visiontek GPS Tracker device which support GPS Tracking Software.